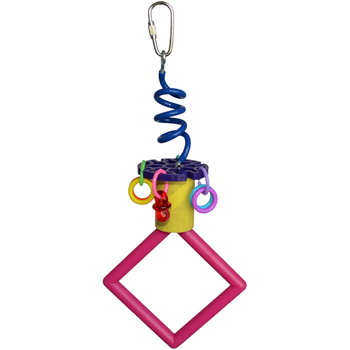 The Bungee Bounce combines a paper bagel, springy plastic coil, hard plastic rings and pacifiers, and a diamond-shaped ring to provide your small bird with a safe and engaging outlet for many natural behaviors! 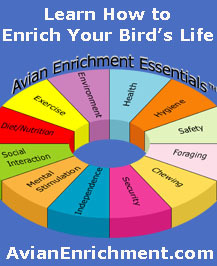 Balance, foot agility, and natural beak trimming are just some of the benefits for your bird. 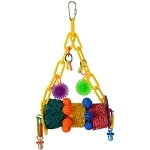 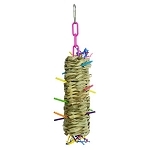 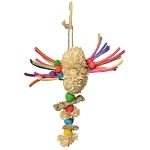 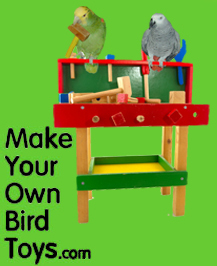 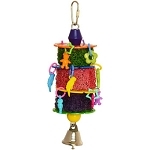 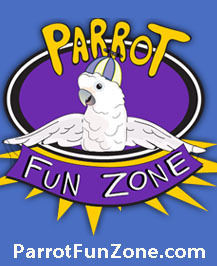 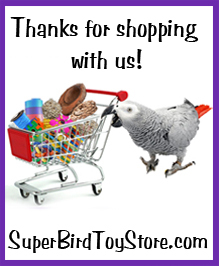 Hang the Bungee Bounce in your bird’s habitat and watch it climb, chew, and bounce away!